What better way to celebrate life’s special events than with afternoon tea? Birthdays, engagements, anniversaries, and retirements of people dear to us call for tea parties, with table settings and delectable fare in keeping with the occasions. Whether casual or formal, modern or traditional, serving four or 400, afternoon tea provides a memorable experience for all ages and genders. After all, tea parties aren’t just for little girls and elderly ladies! In the pages of our new book TeaTime Parties, you will find ten festive menus designed for each milestone commemoration that touch virtually everyone’s lives, each accompanied by menus and tea pairings to delight your guests. 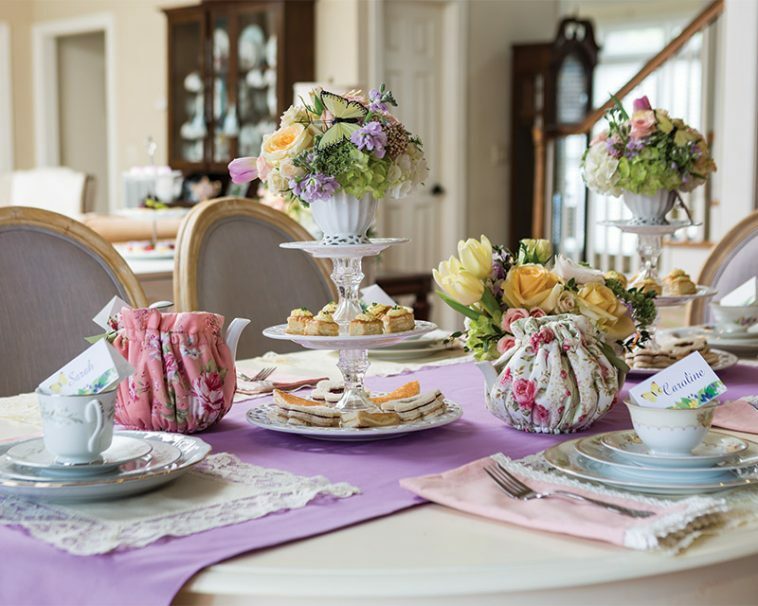 Tips on how to properly set up a tea to accommodate a small or large guest list, and make-ahead tips for food preparation will make any host’s duties easier. Whatever the occasion that finds you gathering with family and friends, this wonderful book offers inspiration to make the milestone more meaningful by celebrating it with a tea party! 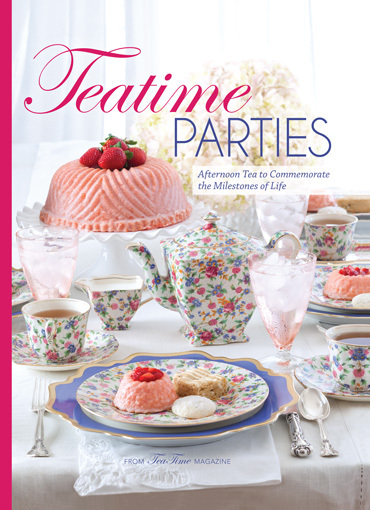 Pre-order your copy of TeaTime Parties now and receive free shipping with the coupon code TEATIME. When was the last time you hosted a tea party? Iam looking forward to buying this book. I love to have a tea party for friends etc. I am hosting a afternoon tea for my daughter’s bridal shower. What a lovely book idea. I’m planning a tea for our group of fiends to celebrate finally finishing our renovation. I haven’t been able to entertain at home since it’s been a construction zone. Can’t wait to see what you’ve included. The most recent tea would have bee served in my garden hut with an elderly lady friend and her three daughters all from different states. Before that would have been the Mother ‘s Day Tea at the resthome where I work in Activities. Our guest list included over 100 ladies and was served the Friday before Mother’s Day. I have been in charge of this tea for the last 3 years. I prepare over 150 homemade scones at home and freeze them prior. Always make Devonshire cream and jam or lemon curd. This years menu included a tart out of one of the recent Tea Time magazines. A very enjoyable time is had by all! 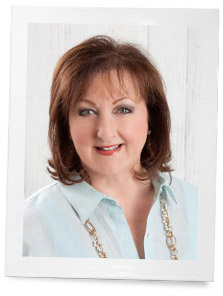 I get lots of recipes from your books and magazines . Thanks! Last Saturday my daughters, granddaughters, and I attended the most exquisite garden tea party hosted by a friend in southeast Alabama honoring her two granddaughters. Her flowers, table settings, and centerpieces were gorgeous, complete with her hand painted china. The menu was tea party perfect. What a beautiful party with each little girl dressed in her heirloom finery and using her best manners! I will be hosting another tea next week…this time for my friend’s daughter, to celebrate her graduation from middle school. It will only be the three of us, but I hope it will be fun and memorable. What a great book to own. This Tea time Parties brings back a memory of a feature many years ago Victoria magazine had of two little girls[sisters] showing their tea party with their friends and dolls. It was a delight. This book is a nice reminder how things can be so lovely. FYI I still have that issue. This book looks so lovely. The mother of my daughter’s matron of honor held the wedding shower on their patio with a formal tea. There were place cards, China, flowers, and a 5 course menu. It was amazing! Such a lovely way to celebrate such a special occasion. We can’t wait! Your tea books are cherished in our home. My young girls absolutely love looking in them also. Looks like a lovely book. I always enjoy the tea-themed special publications. I do wish sometimes for fewer recipes and additional teaware articles. I very much enjoyed a brief viewing of the newest Southern Lady and Tea Time last night. Last month’s Chitra Collection article was most enjoyable. I look forward to reading the newest one and a more indepth perusal of both publications soon. Does yesterday’s grilled cheese sandwiches and cookies with a pot of Constant Comment served on bone china with sterling flatware about 4pm count as a tea party? We did enjoy talking about a new book that we’d discovered the day before on one of our favorite topics. I tend to think anytime we enjoy quality tea – an old favorite which recalls wonderful memories of times past or a new discovery for making new memories – surrounded by petty teaware it’s a party!! I will definitely add this book to my library! I love all of your publications. We celebrate milestones with food and fun…tea is perfect! This looks beautiful, it’s a book I will definitely want to add to my entertaining library. We’ve celebrated almost everything with a tea party here at home., from the carefully planned out holiday teas to impromptu mini tea parties with children. Thank you for always offering such gorgeosu publications!